Activision has now officially announced the existence of the Call of Duty: Black Ops "Zombie Mode", a.k.a the worst kept secret ever. You'll be able to enjoy the zombie apocalypse in up to four-player co-op gameplay, but nothing else is known at the moment. We should have more details soon since GameTrailers TV (GTTV) will be airing a special Call of Duty: Black Ops episode on 15th of October. 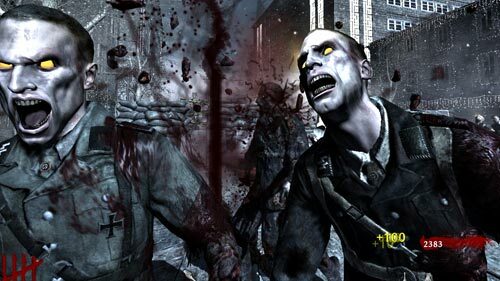 Treyarch revealed today that the community-favorite "Zombies" is coming to Call of Duty(R): Black Ops which hits stores worldwide on November 9th, by Activision Publishing, Inc. Zombies were originally introduced in Call of Duty(R): World at War and became an instant hit. Call of Duty: Black Ops fans can combat the living dead in up to four-player co-op gameplay. "Zombies have been such a hit with our community that we were committed to bringing brand new experiences to Call of Duty: Black Ops," says Treyarch Studio Head, Mark Lamia. "We've taken extra special care to retain the essential ingredients of our new game mode, and have also crafted a nice surprise for the fans." Today's news follows the announcement that four updated co-op maps from Call of Duty: World at War will be made available as part of the Call of Duty(R): Black Ops Prestige and Hardened Editions (Xbox 360, PS3), along with the premium edition Steelbook(TM) Case, custom Black Ops limited edition medal and an exclusive Black Ops Avatar outfit. Call of Duty: Black Ops will release worldwide on November 9th. Pre-orders for the title are available now. Call of Duty: Black Ops for the Xbox 360 (R) video game and entertainment system from Microsoft (Xbox 360), PlayStation(R) 3 computer entertainment system, Nintendo Wii(TM) and Windows(R) PC is rated "M" (Mature -- Blood, Drug Reference, Intense Violence and Language). Also scheduled for release is Call of Duty: Black Ops for the Nintendo DS(TM) family of hand-held systems, which is rated "T" (Teen) by the ESRB and in development by n-Space.